The species is found in the Caucasus, Turkey and northern Iran. In Armenia it occurs only in high mountain grasslands of Southern and South-western regions of the country, occupying elevation range from 2,600 to 3,500 m a.s.l. The biological peculiarities of the species still require further investigations, however it is known that the females are laying down the eggs on leaves of Potentilla spp. The species gives one generation per year, the flight period is from late July till mid August (sometimes - late August). The species is uncommon to rare within a typical habitat. 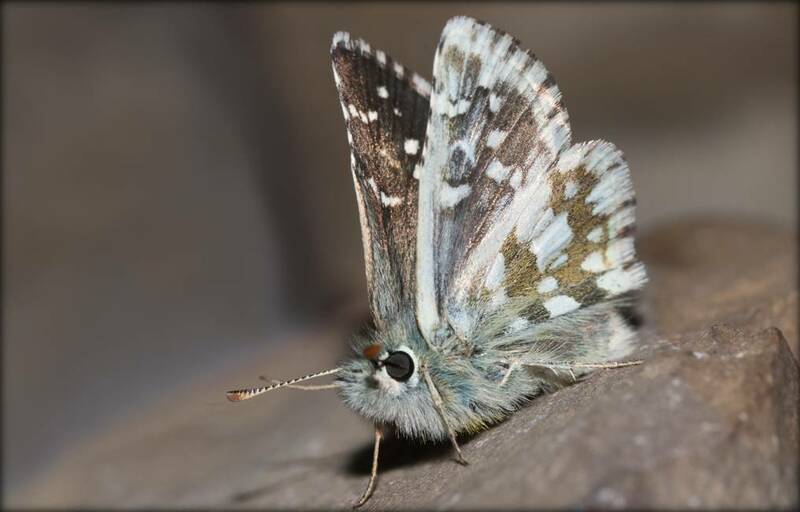 At the lower part of its distribution range the species' flight period is overlapping with that of other Pyrgus species, making field identification impossible; however at the higher elevation the species occurs alone, which makes its counting possible. Based on that data it is possible to conclude that this habitat specialist has a stable population trend (p>0.05). Apparently, at altitude above 3,000 there is no human disturbance, however the situation with the Caucasian Skipper's population at the lower altitude remains uncertain. The species is not included in the Global, European, and National Red Lists, as well as in Appendices of CITES and Bern Conventions. Its preliminary assessment suggests the species as Least Concern, though with several reservations, related to necessity of study the biological traits of the species and the dynamics of its populations located below 3,000 m a.s.l. 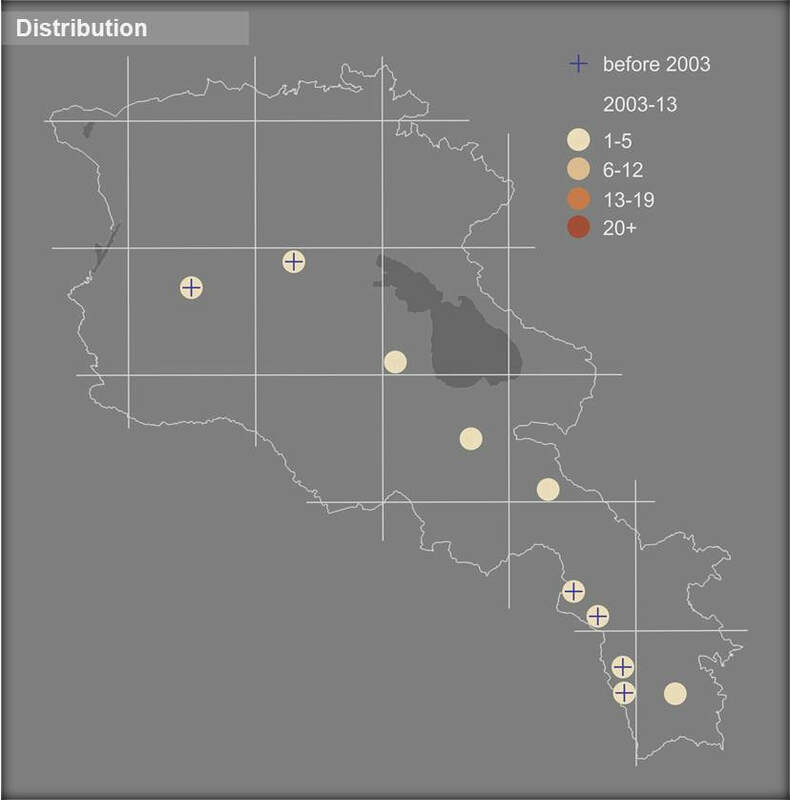 At current the species' distribution range is covered only by Zangezur Biosphere Complex and Aragats Alpine Emerald Site. Also the species is presented at Lichk and Kajaran Prime Butterfly Areas. Taking into consideration the patchy distribution of the species as well as its high level of habitat specialization, it is proposed to designate more Prime Butterfly Areas with the species' occurrence and to begin their transformation towards Emerald Sites and National Protected Areas. This endemic species can be a good target for butterfly-watching, and its development can support the surrounding communities, which can provide appropriate service in catering, accommodation, local transportation and guiding.